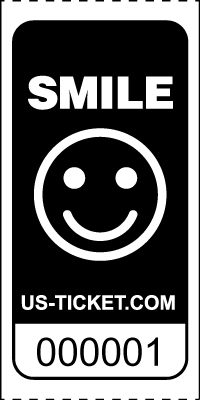 Brighten up your next party or event with these Smile Roll Tickets! Use them to reward your students. 1"x2" Ticket size. 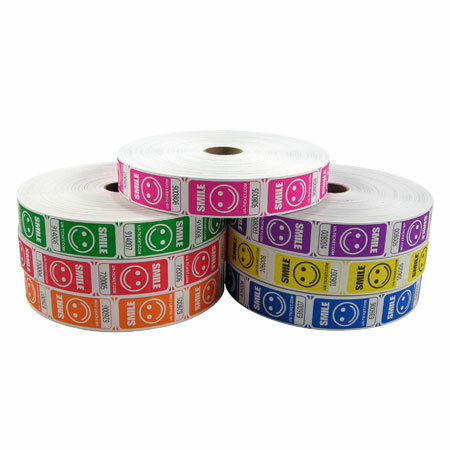 This Premium Roll Ticket is printed on high quality bright white paper for a more attractive, colorful ticket!